Be among the first foreigners to explore Dawei as you make your way overland in southern Myanmar to Yangon, exploring the region’s diverse ethnic mix, Thai-influence and combination of colonial legacy, local small-scale primary industry and stunning beaches. Fly from Kawthaung (or Yangon) to Dawei around midday. 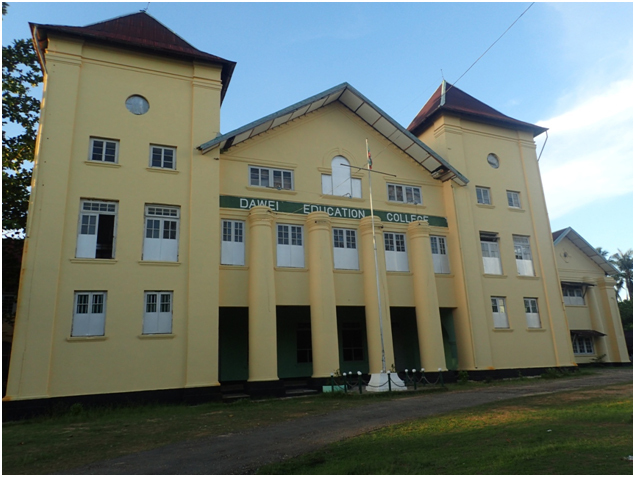 In the afternoon, explore the former trading settlement known as Tavoy, with its colonial architecture of merchant houses and stucco mansions, traditional crafts including pottery, longyi weaving, and cashew-nut processing. Stay Dawei. Visit the gleaming Payagyi pagoda in the early morning where locals, pilgrims and monks come to make offerings, then the bustling local market and regional museum. 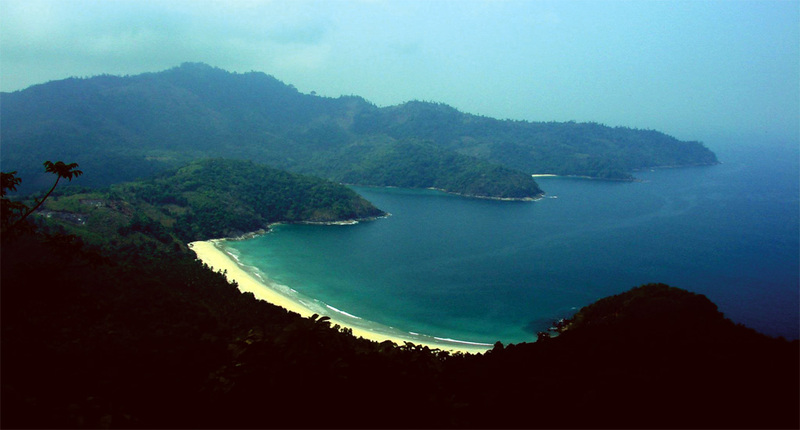 Afterwards, drive to a secret beach, only accessible at low tide, where local fishers bring in their catches, and walk to a secluded beach that is perfect for swimming and lazing. In the afternoon drive north to San Maria bay and visit MyawYit pagoda on a rocky outcrop and then to nearby locally-popular Maungmagan beach,a former retreat from the British during colonial times, now a relaxed beach destination with shallow waters for swimming, and beachfront restaurants to watch the sunset. Stay Dawei. A travelling day covering 300km (5.5 hours traveling time), from Dawei to Mawlamyine. Along the way you can witness the everyday rural life of many ethnic minority Mon, Tavoyan and Mon. Passing through areas of jungle, rubber plantations, cashew nut farms, palm oil plantations, bamboo glades, coconut trees, betel nut palms, durian, snake fruit and pineapple farms, you arrive at Ye for lunch. In the afternoon continue to Thanbyuzayat. 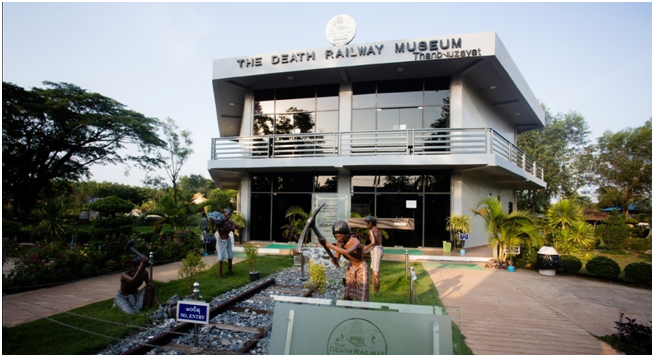 The western terminus of the infamous Death Railway linking Thailand and Burma during the Second World War, its museum contains poignant stories of the suffering of Allied prisoners at the hands of the invading Japanese, while nearby the Thanbyuzayat War Cemetery commemorates those Commonwealth, Indian and Dutch soldiers who lost their lives. 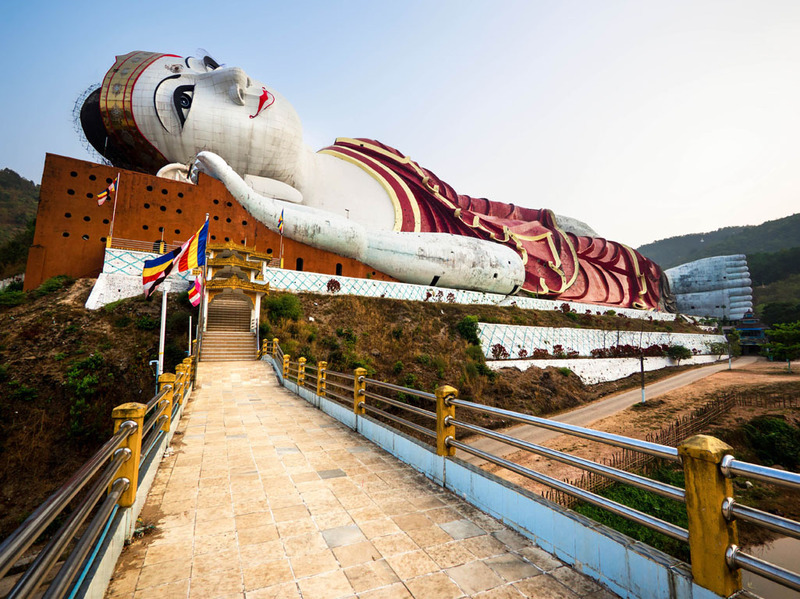 Further on towards Mawlamyine is a large 50m-high seated Buddha statue, but the main attraction is the world’s largest reclining Buddha image, Win Sein Taw Ya, 180m long. Arrive Mawlamyine around sunset. Stay Mawlamyine. 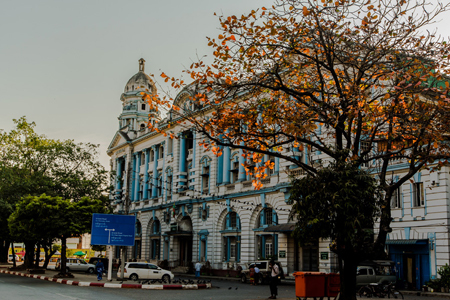 Explore the former southern Myanmar capital of Mawlamyine, with its rich legacy from its past as a trading centre on the Salween River, including churches, mosques, and colonial buildings – writer George Orwell lived here almost a century ago. 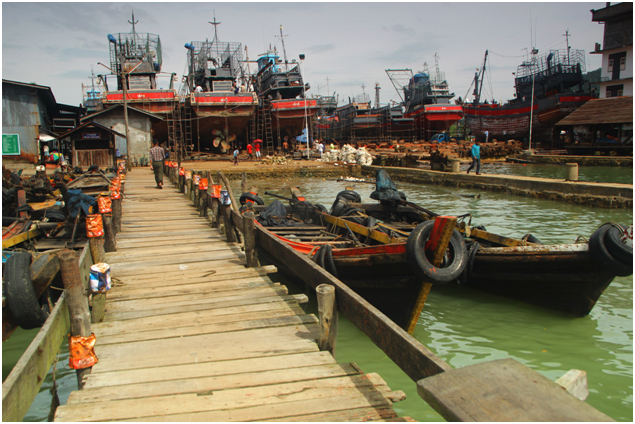 Then cross to the large Bilu (Ogre) island, known for its craftspeople making everything from tobacco pipes, chalk boards, rubber bands, ropes, walking sticks and hats with local wood, bamboo, rattan, slate, vines and rubber. In the afternoon, take a small boat across to the ‘hair-washing’ island of Gaung Se Kyun, a peaceful tropical garden island with a monastery, nunnery and dog sanctuary. 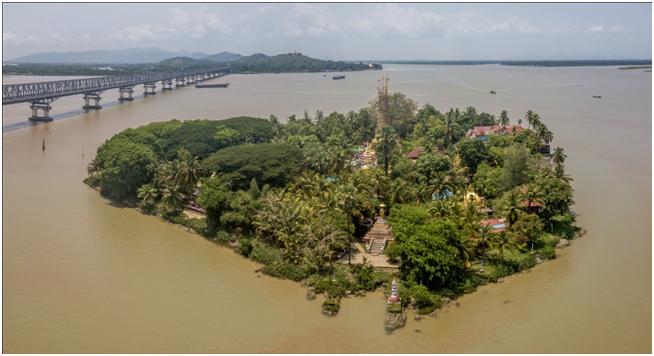 Finally head to the ridge overlooking Mawlamyine for sunset from the ‘old Moulmein pagoda’ where poet Rudyard Kipling fell in love with a local woman at the steps of Kyaikthanlan pagoda. Stay Mawlamyine. 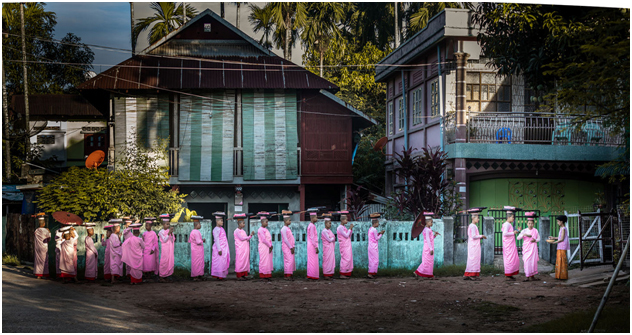 Drive to a remote, isolated village with a pagoda compound famed for its elaborate interior of carved wood in the Kawhnat village, known as the home of a national hero who was one of the first pro-Burma independence leaders. Then take a small boat upriver on the Salween River to the lovely karst landscape of Hpa’an with its iconic mountain ZweKabin. 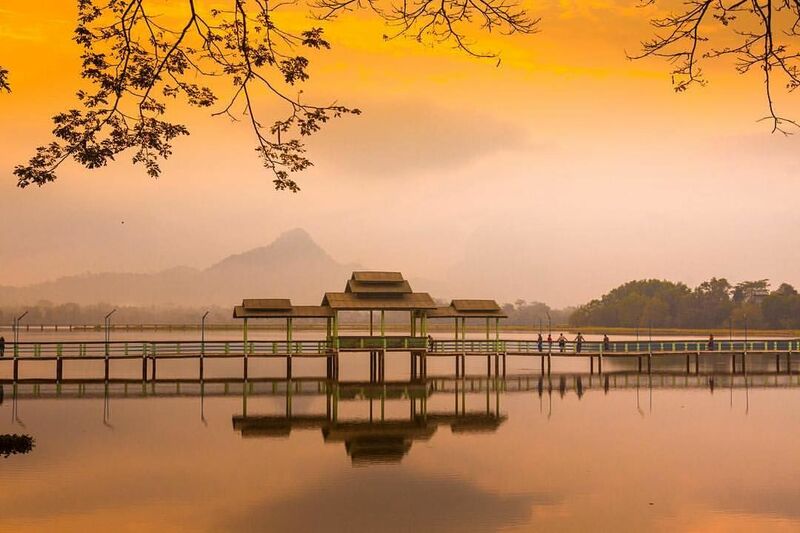 Visit the dramatic large cave and tunnel of Saddan, afterwards taking a small boat through a low cave, and then watch the sunset from a vantage point by the lakeside KyaukKaLatt – an unusual rock formation surrounded by water. Stay Hpa’an. 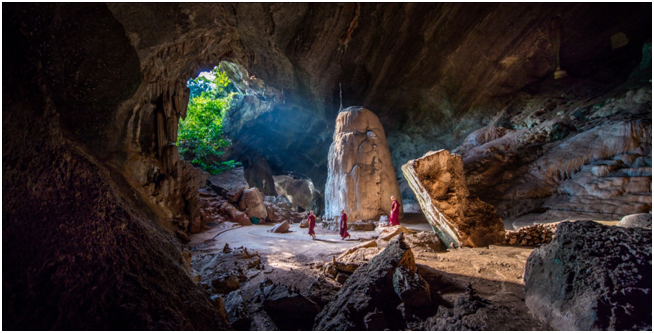 Leave Hpa’an and head to Kawgun cave, where tablets set into the cavern wall date to the 7th century, before continuing to the green and leafy town of Thaton, where lunch can be enjoyed at a quirky outdoor restaurant. 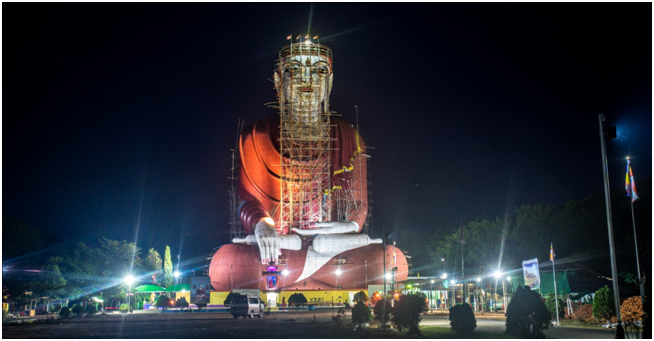 Drive to the pilgrimage site of Kyaikhtiyo, Golden Rock, taking the open truck to Hermit point and from where taking a cable car to the summit, where a huge rock perched on a mountain top attracts Buddhists from around Myanmar as well from abroad. 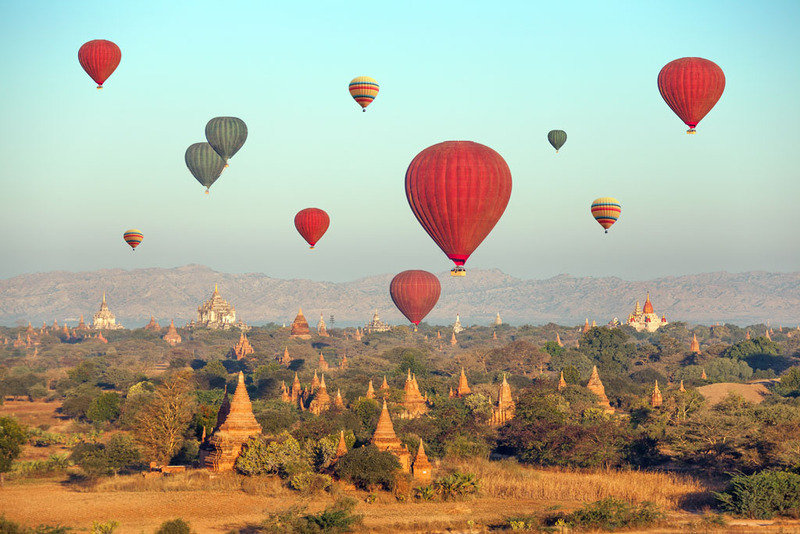 Get up early to witness sunrise on Myanmar’s most sacred site, and after breakfast, go down the mountain, and drive towards Yangon, stopping at the fruit vendors, before reaching Bago with its impressive landmark Shwemawdaw pagoda, and ‘snake’ temple. 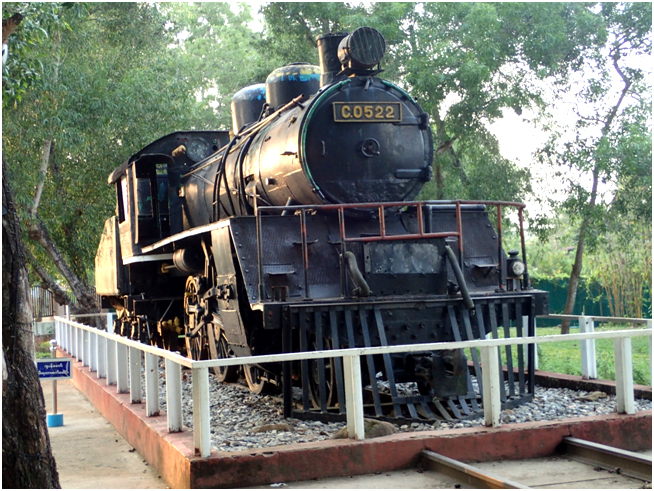 There’s the option of taking a train from Bago into central Yangon in the afternoon (or from near Golden Rock for the journey towards Bago), or visiting a monastery where novice study to become monks, or a cemetery from the Second World War, before finally arriving in Yangon at the end of tour. On Day 6, as an optional extra, guests can go on a caving adventure to a secret cave system in the karst landscape near Hpa’an. This involves a short boat trip, hiking across farmland, and then exploring a cave system in a seldom-visited area. A good level of fitness, agility and mobility is required, as well as sturdy shoes. Headlights will be provided, as well as protective gloves. The itinerary involves venturing into several cave systems, and climbing over rough terrain. At the end of the adventure, guests continue onto Golden Rock.